Seven charming holiday resorts forming the Tiroler Zugspitz Arena holiday region are located on the southern side of the famous, almost 3,000 m Zugspitze. Ehrwald, Lermoos, Berwang, Biberwier, Heiterwang am See, Bichlbach, Lähn-Wengle and Namlos each have their own distinctive character, yet all those places feature both honest hospitality and lots of options for sports activities in both summer and winter, local delicacies and countless ways to experience the region’s culture & traditions. Travelling to the first ski and summer sport region in Northern Tyrol is incredibly easy. The motorways A 7 and A 95 provide a road tax- and disc-free connection from Germany. Naturally, the most striking summit and main attraction of the Tiroler Zugspitz Arena is the alpine peak that gave it its name, the Zugspitze. The panoramic platform offers an unbelievably far, clear view of four countries and 400 mountain peaks including the Grossglockner, Austria’s highest mountain. The museum “Faszination Zugspitze” offers discoveries and the ski and hiking region athletic activities. Even the Oktoberfest has its own “offshoot” on the Zugspitze! By the way, you can comfortably reach Germany’s highest mountain from Tyrol by cable car. 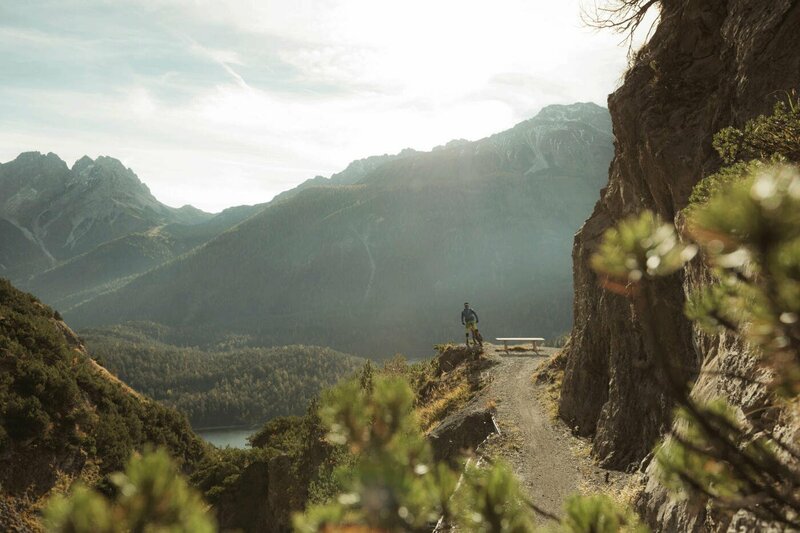 Families with children, ambitious athletes and connoisseur guests will find exactly what they’re looking for in the holiday region between lakes and mountains. The offerings are extremely diverse, although the main summer activities certainly are hiking and biking. Walkers, hikers and mountaineers will find around 90 diverse, perfectly signposted hiking tours with a total of 300 km in the Tiroler Zugspitz Arena. Bikers and e-bikers enjoy 3,000 km on more than 100 tours, including only the best single trails and freeride tracks. There’s also extensive infrastructure available ranging from bike rentals to washing and service stations. 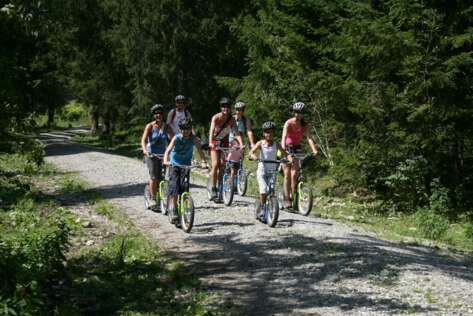 There are also many alternatives to hiking and biking in the Tiroler Zugspitz Arena. Climbing, golf and crazy golf, paragliding, archery, summer tobogganing, tennis and other summer activities are part of the holiday programme. You absolutely have to visit the lakes and waterfalls! 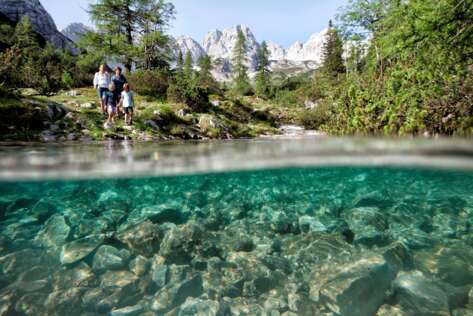 Enjoy a cruise on the Heiterwanger See lake, cool off in the swimming lakes, mountain lakes and public pools or hike to the Loisach springs and to swooshing white waterfalls. Several ski regions with highly modern cable cars and lifts await you in the Tiroler Zugspitz Arena. With its topography, the ski region is particularly suited for ski beginners, families with children and race carvers. Children’s ski schools, courses for adults, ski rentals and free ski buses offer everything skiers of all experience levels come to expect. Among the special attractions are night skiing in Berwang and the night toboggan run, which is also in Berwang. There’s a lot more to experience beyond the slopes from the extensive network of runs for cross-country skiers in classic and skating style to horse-drawn carriage rides to ice skating and ice stock sport. While you’re at it, you’ll get to know and love the traditions and culinary delights of the Tiroler Zugspitz Arena. Locals pay lots of attention to lovingly maintaining old customs. Look forward to the transhumance festivals, creepy Krampus runs, the “ringing in” of the New Year in Ehrwald, authentic Tyrolean evenings and local markets and religious holidays. Speaking of festivities, food and drink play a vital role in the Tiroler Zugspitz Arena. Experience amazing culinary variety from the Berwang mountain beer to alp specialties to special delicacies on the Zugspitze or on the ship on the Heiterwanger See lake.